Before attending law school Steve worked in the field of occupational safety and health as a private consultant. During this time he had safety responsibility for construction of a number of wind tunnels for NASA. Later, his knowledge of chemical safety earned him employment as an in-house safety engineer in the semi-conductor industry. He then attended the Santa Clara School of Law, graduating in 1986. He passed the California State Bar later that year and then began private practice representing individuals and families who had suffered harm due to the negligence of others. He followed in his father’s footsteps concentrating in representing those harmed in construction accidents. He has continued with this focus through today. In this regard, he draws on his prior experience in occupational safety and health and nearly 30 years of litigating cases in many counties throughout California. His years of experience in this very special area of the law has given him a unique knowledge base in the practical aspects of construction and the very complex legal concepts involved in these cases. Due to his wealth of experience in construction safety, he has also been asked to assist in cases in other states. Steve handles all aspects of these cases, which requires knowledge of both the civil litigation and workers’ compensation systems. 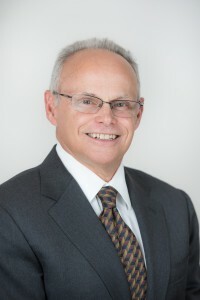 Steve is a member of several legal associations including the San Francisco Trial Lawyers Association, Consumer Attorneys of California and the American Association for Justice. Additionally, he has received a rating of “AV,” the highest peer-reviewed rating given through Martindale-Hubbell. He is recognized as a “Super Lawyer” and in 2013 was awarded the “Golden Advocate” award for his work on a serious injury construction accident case in San Bernardino.